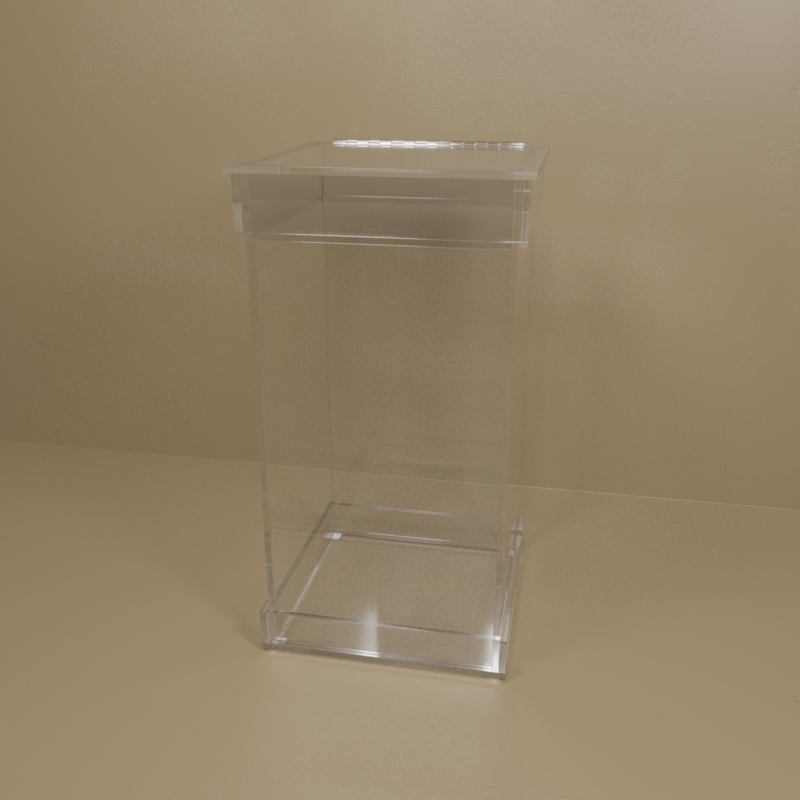 Heavy duty, floor model, large, acrylic waste box holder. It is re-usable, holds a 12" x 12" x 27" waste box and protects personnel from exposure to potential hazards. 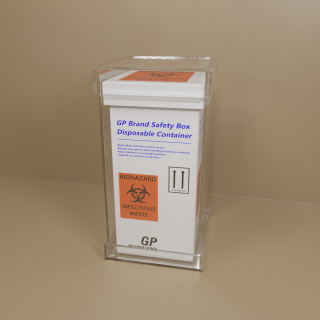 Clear sides allow warning symbols and biohazard bags to be seen. Each unit has a hinged lid for easy disposal of waste. Lids are removable for removal of contents. 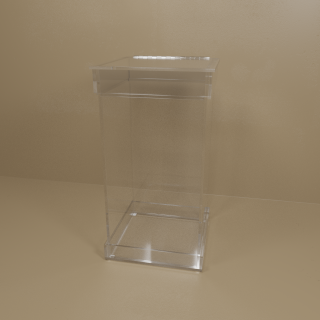 All are made of heavy duty, 3/8" clear acrylic.